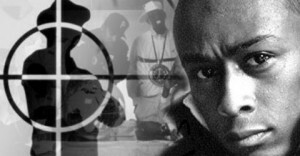 Professor Griff is an internationally renowned educator, writer, producer, musician, platinum recording/spoken word artist, lecturer and founding member of the pioneering and revolutionary hip hop group Public Enemy. Author of the popular music business guide: Musick Bizness R.I.P. (Resource Information Publication), Griff stands as a highly acclaimed, seasoned entertainment industry veteran and sought-after resource on all aspects of the music business. An activist within both the conscious and hip hop communities, Griff currently stands as a permanent fixture on the international lecture circuit with his riveting and powerful discourse/book, the Psychological Covert War on Hip Hop. An energetic and passionate educator, Griff skillfully customizes this extensively documented lecture to suit the needs of all audiences. Armed with an exemplary life of service and an impressive twenty-year musical career, Griff captivates audiences with his universal call for social responsibility within both the hip hop community and larger culture. As perhaps a testament to his firm commitment to raise the level of consciousness of today s entire hip hop generation; Griff effortlessly draws upon his own extensive entertainment industry experience and a vast reservoir of historical scholarship and research to deliver this poignant message. Reared in Long Island, New York and a current resident of Atlanta, Georgia; Griff maintains a coveted role as Minister of Information for Public Enemy and is currently celebrating an unprecedented sixty world tours and 20th Year Anniversary, with the group. A well-rounded music enthusiast, Griff is also a member of the hip hop/metal band 7th Octave, and has created an empowering youth hip hop curriculum entitled Kidhoppaz, designed to fuse education and entertainment into a positive, effective instructional module. Musically, Griff has recorded nine albums with his group Public Enemy however he has long distinguished himself as a talented and acclaimed solo artist as well. Namely, while signed to Luke Records Griff wrote, produced and recorded three powerful and thought-provoking albums entitled: Pawns in the Game (1990), Kaoz II Wiz-7-Dome (1991) and Disturb N Tha Peace (1992). Also, in 1998, Griff released Blood of the Profit on Lethal Records. With his group Confrontation Camp Griff recorded the album Objects in the Mirror May be Closer than they Appear (2000) and The Word Became Flesh (2001); with his group 7th Octave he recorded the album The Seventh Degree (2004). Griff has appeared in the following films: Turntables and The Chip Factor, in addition he spearheaded the production of the informative documentary entitled Turn off Channel Zero. Griff holds a Bachelor of Science degree in Education, is a licensed personal security defense instructor, and an accomplished martial artist. An avid lecturer, known for his innate ability to impart life-changing ideas, concepts and techniques for the spiritual/personal growth and development of all who attend his lectures, Professor Griff is uniquely equipped to meet the needs of an international wide-ranging audience.